(Newser) – If your chosen candidate doesn't win on Nov. 8, there's perhaps no need to decamp to Canada or Russia: Become a citizen of Asgardia instead. That's the name of the newly proposed "first nation state in space." Named after a world in Norse mythology that's located in the sky, the would-be extraterrestrial state stems from a project led by Russian scientist Igor Ashurbeyli, who heads UNESCO's Science of Space committee, reports the Telegraph. 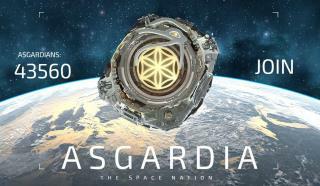 There's no terra firma for Asgardian citizens to travel to: The Guardian reports Asgardia appears to "consist of a single satellite," planned to be launched by the project next year. Ashurbeyli explains "physically the citizens of that nation state will be on Earth," meaning they'll be a citizen of their own country and Asgardia simultaneously. What happens when they declare war on the Justice League? Talk about off shore banking. Count Me in!!! i bet there's a lot of valuable space junk to be harvested.